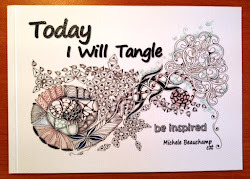 The Diva's challenge #10 is to be aware of the 'space between' the tangles! My day has been delightfully full so I had to stop to think about space. This afternoon I enjoyed happy chatter around the table with Kit, Mel and their Tuesday Tanglers, we drank coffee, ate cake and jelly beans, shared our ideas and tangled inbetween. You know when you have been having a good time when 3 and a half hours flys by like it was just one hour. We didn't leave much space for quiet so my tile is quite busy with just enough space to take a breathe! Very pretty. Like a winding staircase. Oh Shelly ....it is really absolutely beautiful! Beautiful, you can sense a feeling of relaxed companionship that you were having while creating this ZT. How wonderful to have a group whose company you enjoy so much! i wish i could make it to a tuesday tangler meeting! your tile is beautiful! Lovely tile, what a wonderful way to spend an afternoon! Very pretty tile! How nice that all of you can get together for a wonderful time of tangling! 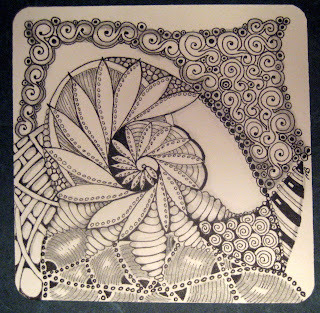 Lovely zentangle and amazing shading - Wow! 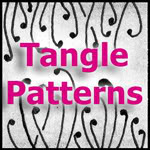 You Tuesday Tanglers have something good going!!! Beautiful! 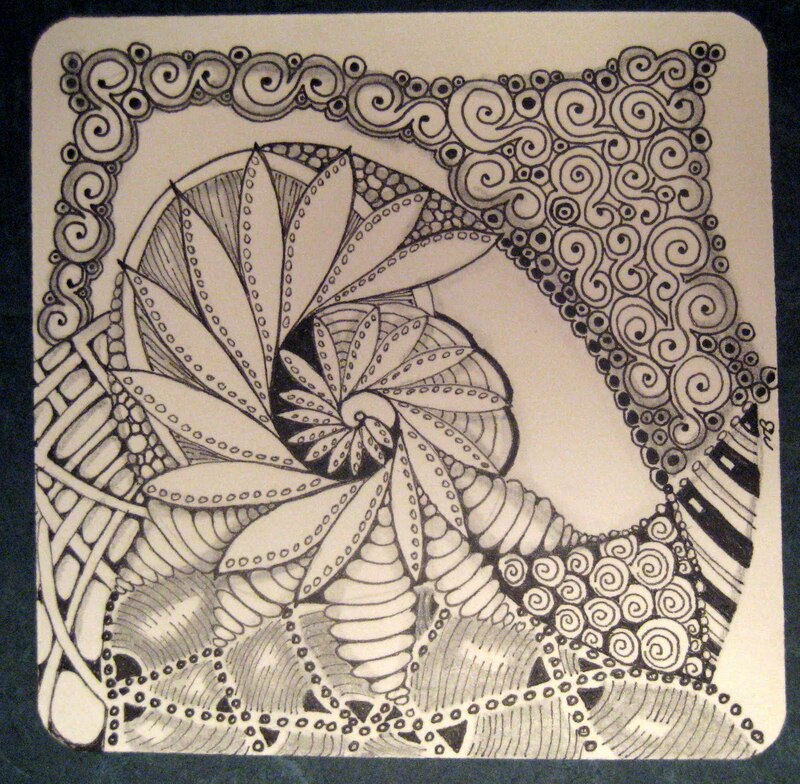 I am learning about zentangle and your site is another inspirational place. It would be great to get together with friends and do art. This is beautiful, Shelly...but the photo doesn't do it justice! Seeing your work 'in the flesh' really was an eye opener to just how wonderful your work really is! You've nicely expressed your enjoyment within your ZT. I can see the small cafe, friends sitting around a table, and idea vibes spinning into the ether! your tiles always blow me away. This is a beautiful tile, balanced so nicely. I love the shading and the spiralness of it all.